Technology Metals Australia engaged CSA Global, which calculated the resource upgrade, to undertake the pre-feasibility study. Read full article below. Technology Metals Australia (ASX: TMT) has reported a 57% resource upgrade for its Northern Block tenements, which is part of the company’s flagship Gabanintha vanadium project in Western Australia’s mid-west. Gabanintha is situated about 40km from the town of Meekatharra and the resource upgrade at the Northern Block has risen from 62.8 million tonnes grading 0.8% vanadium pentoxide to 98.4mt grading 0.8% vanadium pentoxide. This upgrade has now has pushed the project’s global resource estimate, which comprises both the Northern and Southern tenements, to 119.9mt grading 0.8% vanadium pentoxide and 9.7% titanium dioxide. The global resource includes a higher-grade portion of 55mt grading 1.1% vanadium pentoxide and 12.7% titanium dioxide. “The delivery of this outstanding high grade global resource and highly encouraging metallurgical testwork completed to-date provides positive catalysts and momentum to fast-track the development studies of this world class deposit,” Technology Metals Australia executive director Ian Prentice said. Global resources also comprise 37.1%, 9.8% aluminium, 17.2% silicon and 2.1% LOI. According to Technology Metals Australia, there is opportunity to expand the project’s resources, particularly, within the Southern tenement. Meanwhile, metallurgical test work on Gabanintha ore is underway. In late February, the company announced it had recovered up to 97.8% vanadium in magnetic concentrate. Vanadium grading around 1.3% and higher was also extracted from test work on the ore’s higher-grade zones. The ongoing test work program is currently working on diamond drill samples from the Northern tenements, which comprises assessing comminution, generating bulk density data, geometallurgical characterisation, establishing grind sensitivity and magnetic separation. The metallurgical study results and resource upgrade will be incorporated in the pre-feasibility study, which will evaluate potential flowsheets and focus on extracting vanadium using traditional salt roast and leach processing techniques. 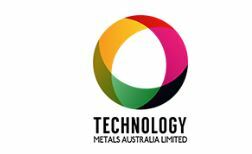 Technology Metals Australia has engaged CSA Global, which calculated the resource upgrade, to undertake the pre-feasibility study. In addition to exploring processing methods, the study will also create open pit design, as well as an initial mining and production schedule along with cost estimates. Investors welcomed today’s news, with Technology Metals Australia’s share price soaring more than 12% to A$0.37 by mid-afternoon trade.